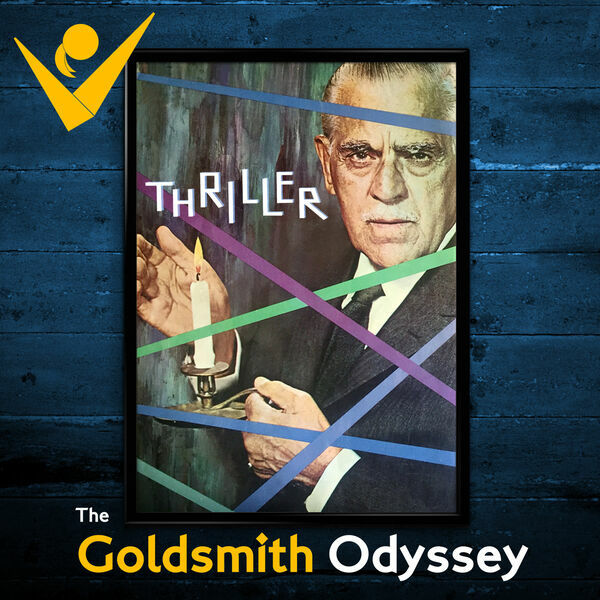 The Goldsmith Odyssey will be spending quite a bit of time with the classic anthology TV show Thriller in 2019, and we’ve got the perfect special guest to kick off our examination of the series: Leigh Phillips, an award-winning composer, orchestrator, and conductor best-known for reconstructing classic film scores like Exodus, The Salamander, King of Kings, and many more. Phillips is also responsible for two wonderful volumes featuring new recordings of Goldsmith’s Thriller music, including selections from the episode we’re spotlighting this time around: “The Poisoner.” Inspired by a true story about an infamous English murderer, the tale gives Goldsmith an opportunity to serve up a rich, harpsichord-driven gothic horror score built around a deceptively attractive main theme. In addition to examining the episode and its score, we chat with Leigh about his relationship with Goldsmith’s music and his career in general. 0:02 - "Even the Cat?" 27:22 - "End Titles" from Thriller: "The Grim Reaper"
1:02:14 - "My Perfect Bride"
1:04:18 - "Preparing the Ring"
1:24:03 - "Take Your Medicine"
1:29:06 - "Even the Cat?" 1:31:04 - "Off to Jail"
1:48:12 - "Unbearable Agony Infinitely Prolonged"
1:52:48 - "A Poetic Death"